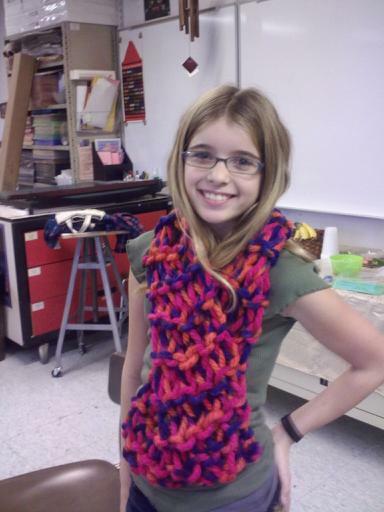 This fun scarf is being modeled by a super cutie at the Middle School Art Club. The kids (and kids at heart) knit scarves, etc., for a soup kitchen near our fabulous art teacher’s home. One skein of Lion Brand Super Chunky in the ‘Fishnit’ Pattern and, ‘WHAM’, you are good to go!